‘Mother City’ as it is popularly known amongst the locals, Cape Town has a lot of diversity to offer, right from Historical to Natural to Modern. One can perfectly spend 3 days time in here by experiencing different dynamics that this city has to offer. 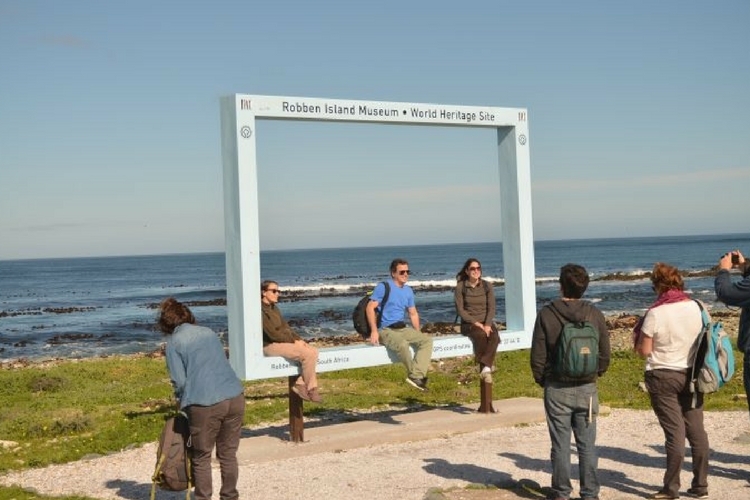 Start by a walk towards the V & A waterfront and take a fast ferry to Robben Island, a UNESCO World Heritage Site, also referred as The Symbol of Triumph of Humanity in Adversity. It’s the place where Nelson Mandela spent 18 out of 27 years in prison and mainly the political prisoners were kept. A guided tour of the whole island is being given and also of the Prison by one of the Prisoners’ who actually have served there, you will be astonished to hear what they have experienced. It’s an experience in itself which would hit the chords of your heart . After spending a few hours here, take the ferry back to the waterfront. The waterfront is a great place to experience food, culture, shopping, music and many other dynamics of South Africa with beautiful views of Table Mountain and the harbour. As the sun sets you can move back to the hotel/hostel and get geared up for the amazing nightlife of Cape Town. There are number of Pubs and Discos with great music, beer and food. The parties, full of locals & tourists go on till morning. 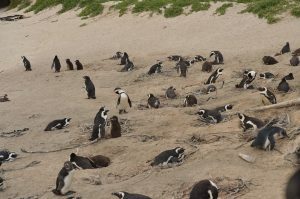 After a well spent first day, start off the day 2 with visit to Boulder’s Beach, home to the beautiful African Penguins. You can swim at the beach and admire the pretty creatures but they are a bit dangerous too, so be cautious. 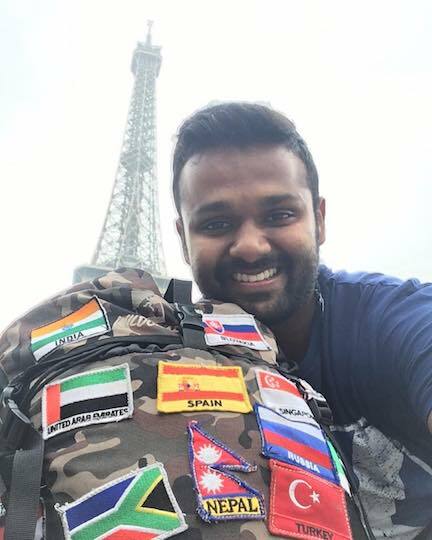 Head to The Cape Point, the place where Atlantic & Indian ocean meet, It’s a place and a feel which is hard to express in words. Climb up to the Cape Point and the Lighthouse to see the amazing topography & blue waves hitting the rocks which is a treat to the eyes. 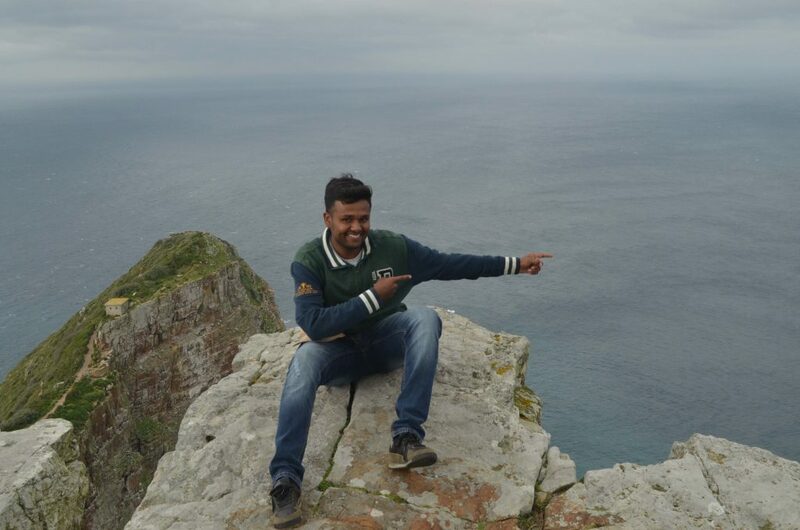 You can hike down to the Cape of Good Hope or reach by the vehicle you came to Cape Point on. Portuguese discovered and used this point to park their ships. The speed of wind here is so much that you literally would have to do a lot of effort to maintain the balance while standing. There are Ostriches and Baboons on the way to keep your eyes entertained during your way back to the Cape Town. There are a lot of good Restaurants and Cafes on the way where you can relax and try different cuisines. Start early by climbing up to the most famous and iconic sight of Cape Town and a World Heritage Site too, Table Mountain.Breathtaking views blessed with abundant varieties of flora & fauna. You can also take a cable ride, but climbing on foot is highly recommendable, the journey is as rewarding as the destination. You can spend hours at this place and it will keep astonishing you. 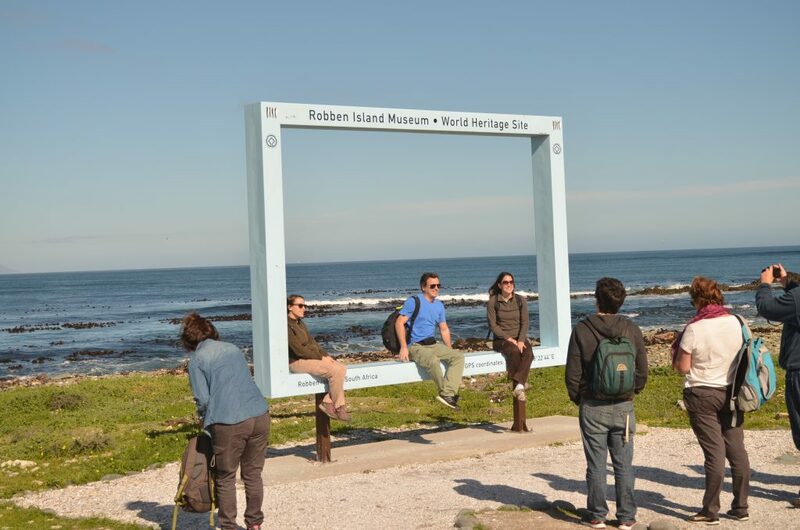 Once you are over experiencing this beauty, you can get down and explore the amazing streets of Cape Town, the most happening and famous amongst which is Long Street, alternatively you can also explore the Asian Neighbourhood. There are a lot more things to do in Cape Town be it Sky Diving or visiting the National Park, but if you are having a time constraint, then this is how you can maximize it without rushing a lot. People here are friendly, but it’s always advisable to be cautious and confident. 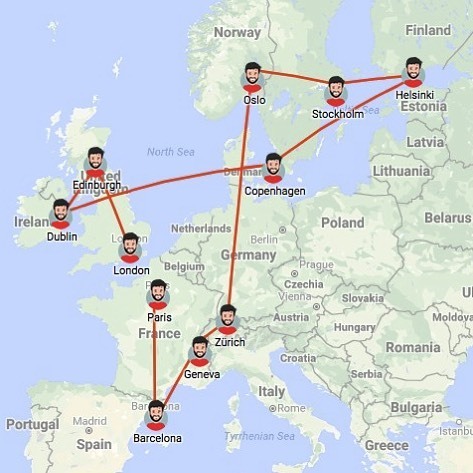 There is tourist police wing which is always at the disposal and can help you with anything. Cape Town has some amazing hostels, so rather than paying a lot for the hotel room, try hostels. The best one is ‘The Backpack’ on New Church Street. It’s a true value for money. There are a number of eating joints with different cuisines and great food. It’s always recommendable to leave a tip as the waiters are very hospitable & don’t earn much there. Buy some great and out of the box souvenirs from Cape Town coz this city is worth cherished for throughout the life.